I think you might find Loop to be very helpful. Well, did you try to incorporate another loop? With this, you can run the script as many times you want by pressing CTRL+a. You can change the hotkey to anything you want. ^a::                                ;Change this hotkey to anything you want it to be. If you want it to run 6 times 5*6=30 | 5*7=35 | 5*8=40 and so on. Also, I kept the hotkey in there so you can run it on command. If you don't want that, just delete the hotkey. Could you post your full script that you're using? I see that you've truncated the script to post here. In your first post, you should have been more specific at what you were wanting. What game are you playing and what is it run in: Browser, third party program, etc? Just noticed it was Dota 2... I don't really play Dota 2 so I don't know how the interface is laid out or how you join and quit games, but if you post your full code you're working with, I'll see what Ican do. I want to repeat this process auto, I want to use it to Game. Could you post your current full script without excluding anything? Like I said, I wouldn't know the layout of the interface for the game so I can't really write the script. I noticed it your first post that you left out some of the script, which is implied with the '...Macro here' portion. Okay, so this is all based off of assumption. I'm going to make a list of what I think you're trying to do, please clear it up a bit. 1. 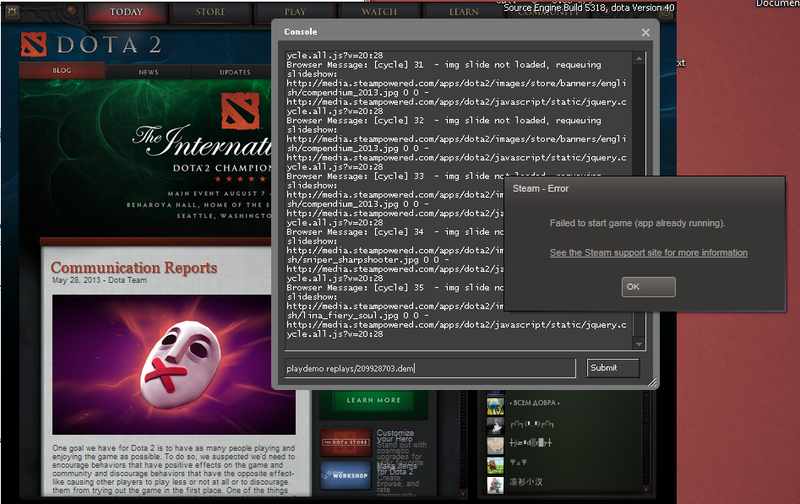 Start up the Dota 2 game and search for a specific replay. 2. Once the replay has finished, you want to exit the game. 3. Once the game is exitted, you want to wash-rinse-repeat. I guess my question here is, do you want the game to restart AFTER BOTH labels were executed or after only one of them? A very sloppy and quickly written work-around. I think I understand what you want here. Press Windows Key (the one to open up start menu using keyboard), and a to activate. Abandon the forum. The community has decided in a democratic vote to leave this website because of inactive and perverse administration. Very few of the contributing members remain here. Yeah, sorry, put the Run command in the wrong loop. >.< Easy fix.